Purpose is one of three critical dimensions of overall reputation, according to a study by Porter Novelli and Cone . The study, examining consumer perceptions of the top 200 companies in the U.S., also finds Purpose and Reputation are intrinsically linked. The research revealed there is a strong correlation between Purpose and Reputation as these scores moved together for nearly nine out of every 10 companies (88%) ranked. In fact, of the top 10 leaders named on both the Purpose and Reputation lists, four companies landed on both lists – Amazon, UPS, Colgate-Palmolive and Alphabet. The top 10 Purpose-driven companies, according to consumers, included: Amazon, UPS, Community Health Systems, Disney, HP, Johnson & Johnson, Cardinal Health, Alphabet and Kraft Heinz. To better understand reputation, the Index was aggregated into correspondent elements under three overarching dimensions: Quality, Vision and Purpose. Quality represented the largest portion of overall reputation, accounting for 65 percent. Elements of the Quality dimension included reliability, security, trustworthiness and affordability. 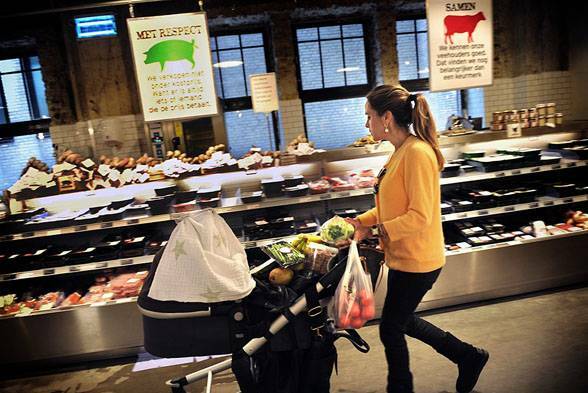 Vision accounted for 18 percent of reputation, under which consumers prioritized categories such as innovation, profitability and creativity. Purpose is the final major dimension of reputation. 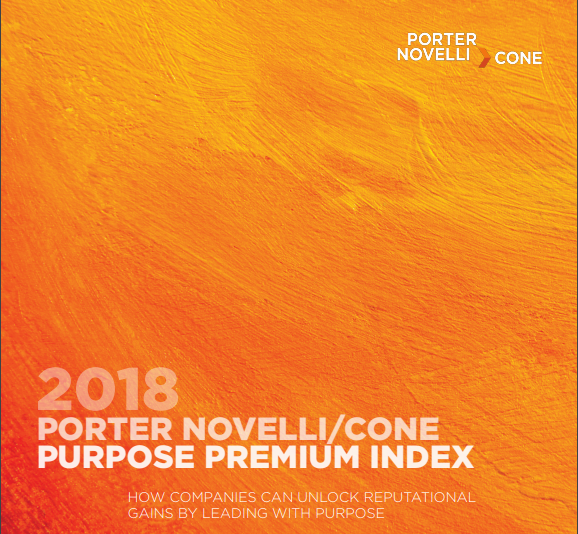 Comprising 13 percent of a company’s overall reputation, the Purpose Premium, can boost overall reputation to edge out competitors and build vital brand affinity among consumers. Hey Buddy!, I found this information for you: "Purpose is a Key Driver of Overall Reputation, According to New Research from Porter Novelli and Cone". Here is the website link: https://www.duurzaam-ondernemen.nl/purpose-is-a-key-driver-of-overall-reputation-according-to-new-research-from-porter-novelli-and-cone/. Thank you.